The first Christians or “followers of the Way” as they were known, observed only one special occasion each year: Jesus’ resurrection or what we now call “Easter.” In time, the first liturgical season morphed into being. It was a season of preparation for this holy day and it became the practice of many Christians, especially since Easter Sunday was the favored time for baptism, to observe a period of prayerful anticipation. The Lenten practices we still observe today emerged out of our early Christian forebears’ desire to retrace the events of the days leading up to Jesus’ resurrection as a way of deepening their spiritual experience and appreciation of this mysterious event that is the crux of our faith. A variety of services and vigils were therefore birthed on the days directly preceding Easter Sunday. The Gospels tell us that days before Jesus’ resurrection, he instructed the disciples to find a home in which they could observe the Passover. At the meal, Jesus did and said some remarkable things. He served the first Communion, even to those he knew would betray or deny him; he washed the feet of the disciples; and, in light of this act of immense servitude, he gave them the new commandment: “…that you love one another. Just as I have loved you, you also should love one another” (John 13:34). This is the first part of the narrative that leads on to the garden of Gethsemane, the prison of Pontius Pilot, Golgotha, and the deep silence of the grave that is answered by the joy of Easter morning and the awe of Jesus’ resurrection. 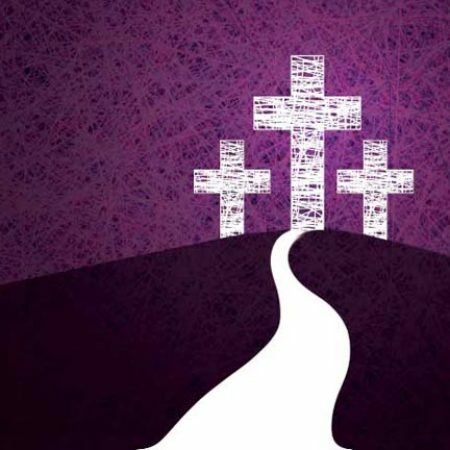 This year at First Church, we plan to expand on our recent practices so that we too might more fully enter into the arc of the Holy Week experience, taking the time to step through each event or part as a way of preparing to more deeply appreciate Easter and also our own journey as people of faith. The plan is for us to engage in all of our usual Holy Week observances – including reading scripture as the lights dim in tenebrae tradition and placing our prayers at the foot of the cross to hear them nailed to it – on the evening of Good Friday. This will create the room for us to gather on the Thursday evening as we have done in recent years and more fully embrace the spirit and tone of the Last Supper. This year on Maundy Thursday (“Maundy” meaning “new commandment”), we will gather early in the evening for a service in the style of dinner church – gathered around tables in small groups, sharing a meal together and serving Communion with relaxed live music and space for conversation. This service will allow us to focus more fully on what is arguably the central teaching of Jesus Christ – the New Commandment – accompanied by a reenactment of foot washing that attendees can observe or participate in as they choose. The service will be suitable for adults and children as well as people who have suffered trauma as the occasion will only have the slightest tinges of what is to come in the subsequent days. This will allow us all a comfortable entry point into the observances of Holy Week that give a full arc into Easter morning. I believe expanding our Holy Week practice will bring new dimensions to our experience, allow more people to enter into the observance, and deepen our faith journeys. I look forward to seeing you at each of these services and hope you will contact me with questions or to talk more about this.